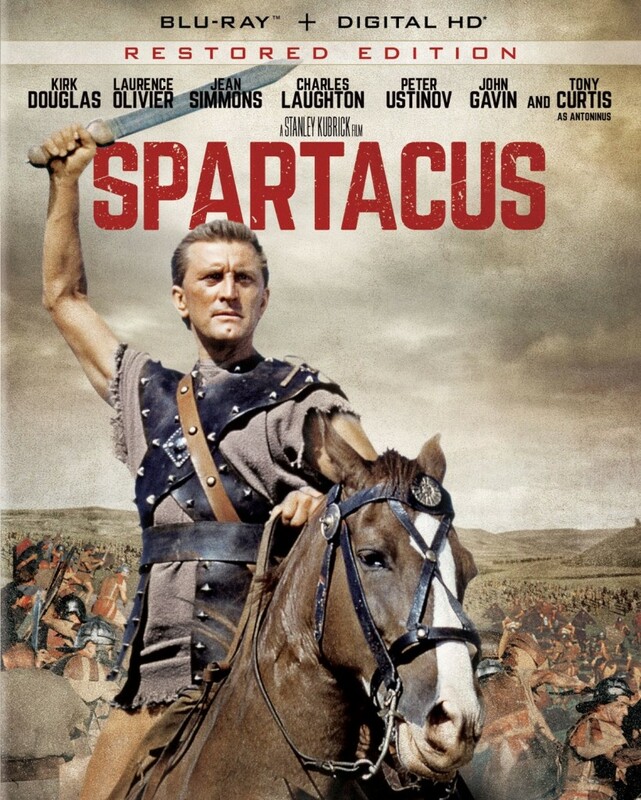 Home›Movie Reviews›Spartacus - The Kirk Douglas Classic, Restored and Reissued on Blu-ray Disc! Spartacus - The Kirk Douglas Classic, Restored and Reissued on Blu-ray Disc! Spartacus was originally released in 1960. The film was directed by Stanley Kubrick, and stars Kirk Douglas (who also produced), Jean Simmons, Peter Ustinov, Woody Strode, Lawrence Olivier, John Gavin, Charles Laughton, and Tony Curtis. Alex North composed the musical score, and Dalton Trumbo wrote the screenplay. The production of Spartacus was long, troubled, and difficult, but it spawned an epic that has stood the test of time. The production was spearheaded by actor/producer Kirk Douglas, after he was denied the starring role in Ben-Hur (which went to Charlton Heston). Douglas used blacklisted screenwriter Dalton Trumbo to write the screenplay, a controversial move at the time but one that effectively ended Hollywood blacklisting once and for all. Douglas was forced to fire original director Anthony Mann a mere few days in production, replacing him with young, up and coming director Stanley Kubrick (Kubrick and Douglas had previously worked together on the 1957 film Paths of Glory). Kubrick and Douglas’ relationship was pushed to the breaking point on more than a few occasions while making the film, but the end result is one that won over audiences all around the world, and remains revered as a classic film (the story behind the film is as interesting as the movie itself, and this is just an abridged version of what went on behind the scenes). This 2015 disc marks the second release of Spartacus on Blu-ray Disc, following a 2010 disc that received mixed reviews. Spartacus is the story of the titular character, a slave condemned to working in a rock quarry who is sold into a gladiator training camp. There, he becomes friends with his fellow gladiators in training, and falls in love with the slave Varinia. Leading an uprising against his captors, Spartacus unites his fellow gladiators in training, bringing together slaves and rebels from across the reaches of the Roman Empire, leading them on a revolt against those that have captured and enslaved them over the years. The army of gladiators and refugees prepares to march on Rome, but unbeknownst to them, the highest ranking officials of the Roman Empire and the Senate are putting plans into motion to topple Spartacus’ uprising and his advancement, to preserve the peace and stability of their mighty empire. Spartacus came out in the era of the epic film. These were motion pictures with (literal!) casts of thousands, set design on the grandest of scales, and run times that typically exceeded the three hour mark. It is truly a film that could not be made today. 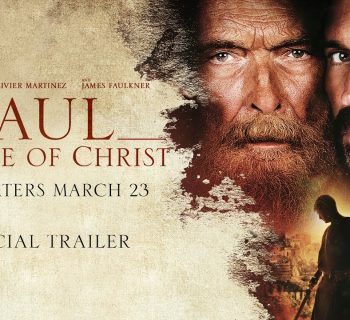 Many films from this, which has often been dubbed the “sword and sandal” genre, have aged poorly and do not hold up today. Fortunately, Spartacus is on the opposite end of the spectrum and represents one of the best films of its kind. 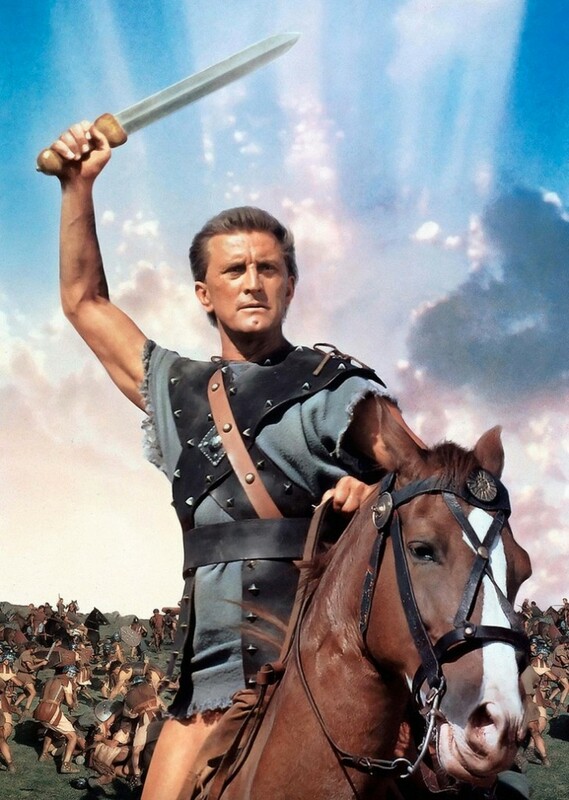 Kirk Douglas stars as Spartacus, in what is arguably his most famous role. The performances from the cast definitely deserve attention; they are perhaps the aspect of this film that holds up the best today. Kirk Douglas absolutely shines as Spartacus himself; this was the defining role of his career; one that was already in full swing by the time this film came out in 1960. From compassion for his lover to a bitter contempt and hatred for the Romans, Douglas’ Spartacus is a powerful character we love to follow on this three-and-a-half hour journey across the Roman Empire’s lands. Jean Simmons is terrific as his lover, fellow slave Varinia, and definitely shines at more than a few points throughout the film, particularly near its conclusion. The always impressive Lawrence Olivier is fantastic as Crassus, the Roman official who serves as Spartacus’ primary antagonist, doing what is needed to thwart the slave uprising; Olivier is at his absolute best throughout and gives the film a much-needed three-dimensional foe, who still manages to feel fleshed out and compelling despite his villainous nature. Other fine supporting roles come from Charles Laughton as Gracchus, a Roman senator who rivals Olivier’s character, Peter Ustinov as the official running the gladiator training camp who comes to question his allegiances later in the film, Woody Strode as a fellow gladiator in training, and John Gavin, in a fairly brief but memorable role as a then up-and-coming Julius Caesar. Even Tony Curtis gets to shine in his role as Antoninus, a runaway slave that serves as both educator and entertainer to the slaves on the run. No one feels miscast throughout the film. It is a fine LOOKING film as well. From the Saul Bass-designed title sequence of swords and Roman monuments to the impressive set pieces, ranging from a gladiator training school to the Senate chambers of Rome, this is set design in the pre-CGI era looking impressive throughout. Scenes with hundreds of soldiers on the battlefield or on the march look impressive because there actually ARE people there, not CGI-produced puppets. The widescreen production makes use of every inch of screen space, leaving an impact on the viewer throughout its lengthy duration. Vintage lobby card, showing Peter Ustinov and Jean Simmons in a classic scene from the film. The movie looks great. It has some of the greatest actors from an era that was epic in every sense of the word. But, is there a compelling plot and storyline, and do these characters actually matter to us? The answer is yes! The basic plot is simple enough, with former slaves banding together to crusade against the Romans, and the Romans’ tactics to put a halt to Spartacus’ uprising. We follow Spartacus himself from rock quarry slave, to gladiator in training, to a powerful leader of those who yearn for a better life for themselves, away from the tyranny of the Roman Empire. The friendships and rivalries alike between characters are well fleshed out throughout the lengthy run time; nothing feels forced or artificial. Even within the Roman characters, there are bitter rivalries and feuds, and these make for some interesting plot points, especially in the movie’s latter half. Admittedly, the film does get a bit too bogged down in its subplot regarding Roman politics, but this is really the only shortcoming of an otherwise solid film. As soon to be legend Stanley Kubrick was brought on as a "hired gun" of sorts, it is not completely clear how much authority and control he had on the film, versus Kirk Douglas as the producer (it is known that two did clash on the set, and some of the stars on the film were questionable of whether so young a director could pull it off). But the end result leaves very little room for complaint. Spartacus also scores points in a number of areas that other films of its era did not, including a gritty sense of realism that was lacking from many pictures of the day. Combat scenes, though relatively few in number (this is a drama first and an action picture second) have realistic consequences, with blood, suffering, and deaths alike. On a long and tiresome trek, slaves are forced to bury their deceased child. In a battle against the Roman army, someone’s arm is cut clean off with a sword stroke. When Spartacus and company are betrayed and left at a disadvantage in a questionable allegiance with pirates, we as an audience actually give a damn, because we want to see these characters thrive, prosper, and win their freedom from the Romans. 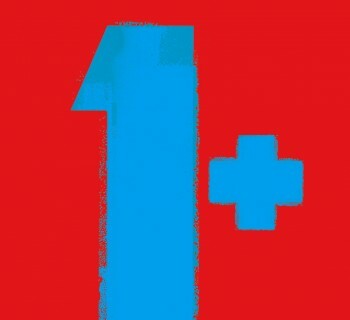 When it seems like all is lost, our heroes are willing to lay down their lives for the man that has lead them so far. The aftermath of the battle is arguably even more satisfying to viewers, even if it is not the conclusion they were hoping for. You will walk away from Spartacus’ final moments satisfied, though likely not for the reasons you might have expected. There are twists and turns, and consequences abound for those on both sides of the conflict. 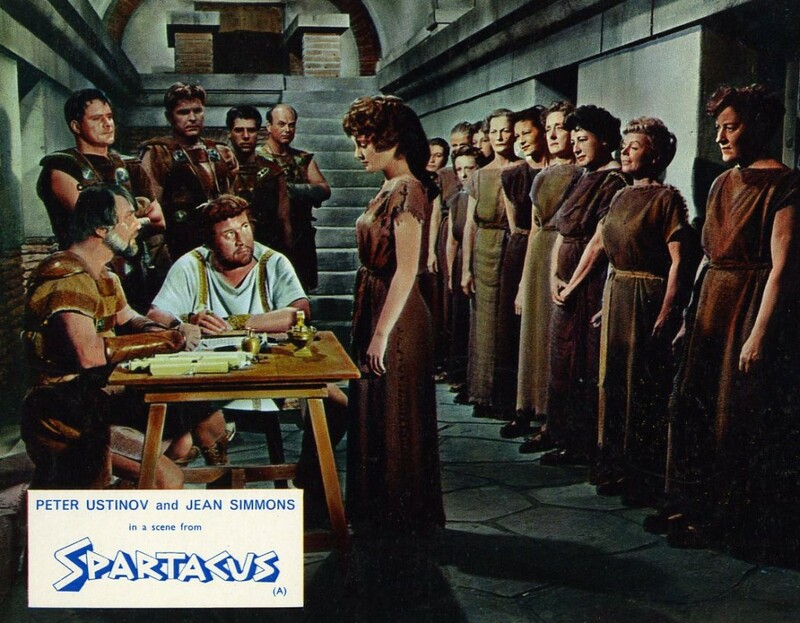 Spartacus was first restored circa 1991; a number of scenes had been cut from the film in subsequent theatrical reissues following its original 1960 release (it was not uncommon to cut down lengthy films for subsequent rereleases in theaters; this allowed the theater owners to get more showings of a movie in one day, and make more money). Amongst the most infamous cut scenes was a “bathing” scene between Lawrence Olivier’s Crassus and Tony Curtis’ slave character Antoninus, which strongly implied Crassus to have bisexual tendencies; definitely a controversial subject for the era. The video footage of this scene survived, though the audio was lost. Curtis was able to rerecord his lines of dialogue, being in his 60s at the time. Olivier had died by this point, so his dialogue was rerecorded by Anthony Hopkins. The scene fits in seamlessly, and someone watching the film for the first time on this disc would likely never know it was cut in the first place. A few scenes have been lost over the years (likely forever) but this is the closest thing we are likely to ever get to a truly complete version of the film. Rear cover of the new release, detailing bonus features and the like. The film was first released on Blu-ray Disc in 2010. While a competent transfer, it was attacked by viewers for its use of questionable remastering techniques, including noise reduction. 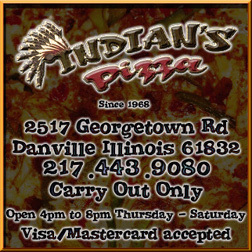 The new disc was the result of a thorough and proper restoration job, and it looks absolutely gorgeous. Individual grains of sand, imperfections in the sets, and even the pores on the characters' faces are all noticeable. Audio is solid as well, from dialogue and sound effects to Alex North’s iconic musical score. Even if you bought the old Blu-ray, this one is absolutely worth the upgrade. There are plenty of bonus features to be had on the disc, including vintage materials such as newsreels, artwork, production stills, interviews, deleted scenes; much of this material also appeared on the previous release. A few new extras appear here as well, including a newly recorded interview with Kirk Douglas (who will be turning 99 this December). These features are essential for any fan of the movie. 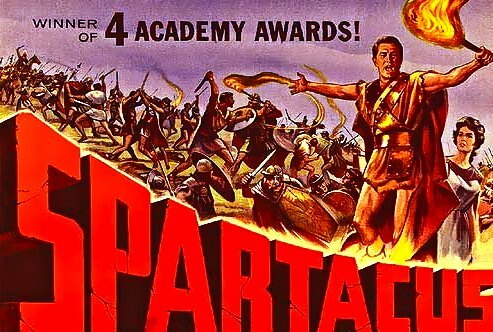 Spartacus was one of the truly great epics to come from this classic, bygone era of filmmaking. With this newly released Blu-ray Disc, there is no time like the present to revisit this cinematic classic. Absolute highest recommendations for this remastered reissue of Spartacus. 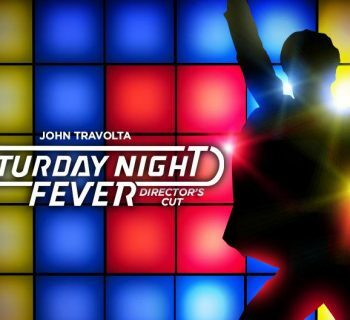 Saturday Night Fever - The John Travolta Disco Classic Gets a Director's Cut Blu-ray Release! The Beatles 1 - Remastered, and with Rare Video Content! The Shape of Water - Guillermo del Toro Returns With a Striking, Unforgettable Film!